These beautiful wedding shoes was captured at Sandals Ocho Rios Resort by Michael Saab. It is very important that your Jamaica Wedding Photographer captures the details of your shoes at your wedding in a way that shows the beauty and intricacies. 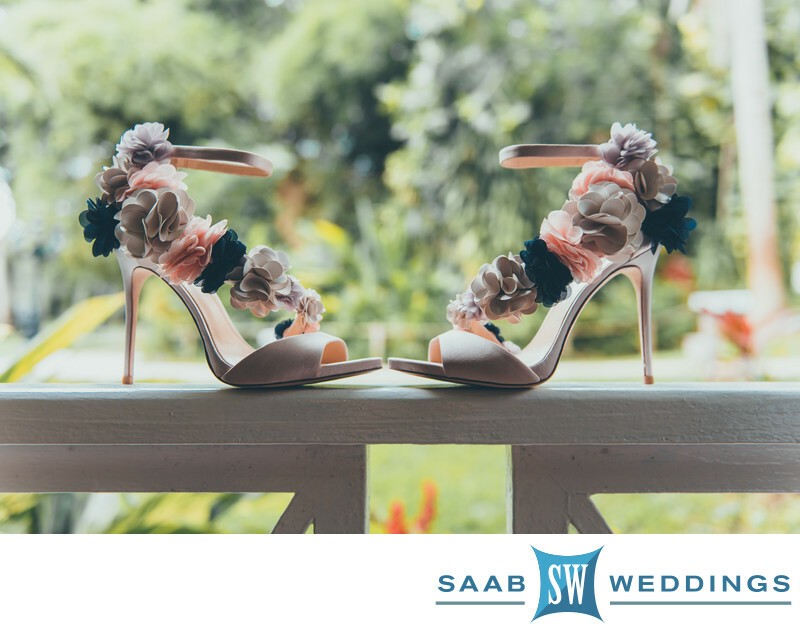 Saab Weddings photographers are trained to capture all your important details so you will be able to look back and appreciate your photos years after your wedding in Jamaica. Location: Sandals Ocho Rios, Jamaica.